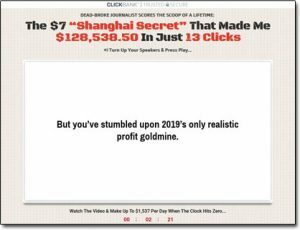 He calls the method the Shanghai Secret & through his new Club Shanghai program he claims to be releasing the method to the public at a cost… But is it really legit or is the Club Shanghai Secret a big scam that’s just waiting to part you with your cash? What Exactly Is The Club Shanghai Secret? Instead you’re just given a whole bunch of hype about the potential opportunity of making money with the system & then in order to find out more you’re asked to hand over some of your hard earned cash. Like I said above this is a common trait of a scam & nearly all of the systems that I come across which hide information in such a way do actually turn out to be scams – so even at a glance I don’t have high hopes for Club Shanghai. Why on earth if the creator is truly sharing such a great secret would he want to keep himself hidden and use a fake name instead? Again the answer here is because it is much likely just a scam. Scammers often use pen-names on their programs so that at any moment they can close their scam & open it back up under a new name to continue scamming people without any trace back to themselves. And I can actually confirm that is the case here with the Shanghai Secret program because when I made an attempt to sign up/login I was taken to the members area where the name was displayed as Club 356. The reason this is bad news is because I previously exposed the Club 365 scam on this blog – and originally visitors to the main Club 365 website where told that the whole thing had been created by somebody named Justin Powell. How Does The Club Shanghai System Work? Well in short I can tell you that basically the Club Shanghai system sure as heck doesn’t work as promised – there’s no so-called Shanghai Secret after all & there’s definitely no way you’ll find yourself making $128,538.50 in just 13 clicks with this thing like you’re led to believe. The reason I say that is because essentially the Club Shanghai system is just a super over-hyped system that revolves around spamming people through a Chinese messaging app named WeChat. If you’ve never heard of WeChat before it’s probably because you live outside of China but it’s basically just like Whatsapp or Facebook Messenger – it’s got a pretty darn large user base in China. So after signing up to the Club Shanghai program (which I don’t recommend doing) you’ll basically learn a little bit about affiliate marketing which is where you promote 3rd party products online in return for commissions. Affiliate marketing itself is actually a very good way to make money online (and you can start with it for free over at Wealthy Affiliate) but the way the Club Shanghai program teaches you to do it is NOT good at all. The whole Shanghai Secret is that you should sign up to ClickBank (an affiliate network renowned for hosting scams like Club Shanghai), grab affiliate links for money making scams & then spam them to people via WeChat. But if you got a random suspicious message through WeChat or Whatsapp or Facebook Messenger would you open it? Would you click the link? Would you pay money to join? The answer (I hope) is likely no – and neither would many other people which is why the whole Shanghai Secret won’t work. You’ll be working tirelessly to promote your links via spam messages in WeChat but nobody will be clicking them or purchasing & therefore you won’t be making any money. The only people who’ll really be making money will be the creators of the Club Shanghai program & they’ll just be making money at your expense through the membership fees that you paid to join. However “trying it out regardless” is exactly what they want you to do because once you’ve signed up for $7 you’ll then be hit with several upsells (additional products costing more money). This means that the initial cost is low (the $7 enrolment fee) but you’ll be hit with “killer upsells” as soon as you sign up – and if it’s like any other typical ClickBank product then these could end up costing you hundreds of dollars. In fact I once seen a ClickBank product costing $47 but then charging thousands on the inside. Basically whatever they’re charging though they’re not being transparent about the true costs which is not a good sign. 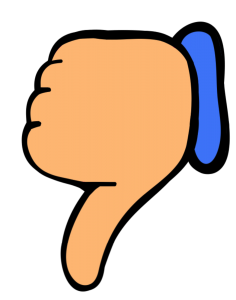 My Verdict – Is Club Shanghai a Scam? Okay so the answer here is “kind of“, and the reason I say that is because yes the Club Shanghai does give you access to a method that could potentially make you money, however it’s very misleading & the truth is that in reality you’ll be extremely unlikely to make any money at all through the so-called Shanghai Secret that you’ll be buying. In my opinion the whole thing hasn’t been set up to help you earn online like it claims it has, it’s just been set up to trick you into parting with your cash (just like the former Club 365 scam) so that the program’s creator can earn at your expense. That’s not good business, and when there are many legitimate places that you can get started earning good money online for free (like Wealthy Affiliate) I just don’t see any reason to join something like Club Shanghai. Plus there are also multiple other great ways to earn online too which you can see here. So with all that in mind there is simply no way I will be recommending the Club Shanghai program to you because as far as I’m concerned it’s just a total waste of money & if you sign up to it you’ll more than likely find yourself disappointed with what you receive. Can Clone My System Really Enable You To Duplicate a $3,000 Per Day Online Business? Now Lifestyle Review – Should You Join?